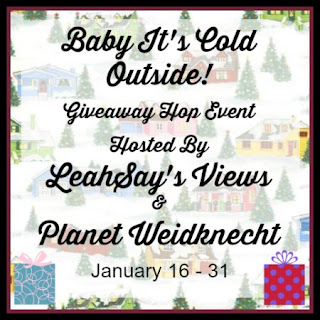 Hi All and Welcome to the "Baby It's Cold Outside" Giveaway Hop with the awesome sponsors LeahSay's Views and Planet Weidknecht! Mom to Grandma's Sponsor is Winning Moves Games giving one of you a Super Big Boggle Game, Cool! Must be 18. US only, sorry friends! 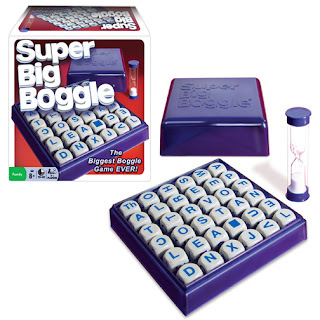 Winning e-mail must be returned within 48 hours or forfeited. Please give RC a moment to load. Good Luck All! Disclosure: Sponsor, not Mom to Grandma, is responsible for prize and shipping thereof. No social media sites are associated with this giveaway. This time of year I love to knit. I love to read and curl up under a throw with some hot tea. I also like to go ice skating. My favorite thing to do is to enjoy being on school break, time with family and friends and prepping for a new semester. It is freezing cold here right now so we stay in and watch a movie or play games. We also cook a lot to help keep the house warm. I like to take stock of everything that worked for me last year. I then think of how to incorporate these tactics with some new ones for the year ahead! I love watching all the Oscar nominated movies and picking which ones I think will win best actor and picture,since it's too cold outside anyway,I also play board games and try different recipes. My favorite thing to do this time of year is to declutter my house. It feels like a brand new fresh start. We have to watch all the playoff football games and once they are over (sigh!,)we catch up on our reading. My favorite is to just watch it all through the window. My bones can't take the coldness. It snowed a little today and I enjoyed watching it with my coffee. My favorite thing to do this time of year is hibernate. I like to snuggle up in my house and stay comfortable. I pretty much hibernate during the winter months. On the weekends, the kids and I will watch movies, do craft activities, play board games and anything else that doesn't require going outside. I like to stay inside and read or enter giveaways. My grandson also keeps me busy coming up with indoor activities for him. My favorite thing to do this time of year is snuggle in front of the fire. I also like to drink hot chocolate and read a good book. We love playing n the snow and sledding! I like to sew and quilt in my sewing room. I also like to enter sweepstakes and giveaways. I like to stay in my nice warm house and pray for summer to come! I love the anticipation of seeing the first blooms of the spring, planning my garden, cleaning-up the yard to be ready for good weather. All over the outdoors. I also love to go through and doing the extra cleaning that goes along with spring (though it actually gets done several times during the year :-) ). I like to stay inside away from the snow and ice. I don't mind how cold it gets, I just hate the elements. I like to make soup and bake cookies for the kids. I like staying inside. My favorite thng to do this time of year is to cuddle up under a blanket with some hot chocolate and a book. My and my husband like to bowl this time of year. I also like to grab my knitting, a good movie and snuggle on the couch. My favorite thing to do this time of the year is to watch a good movie in bed. Also, I love to cuddle up on the couch a read. My favorite thing to do this time of the year is to watch a good movie in bed. I also like to cuddle up on the couch and read.